What are the key elements of 1940s interior design? What colors, designs, patterns and “feel” did we generally see? And why? To my mind, based on the advertising illustrations and magazine articles that I’ve seen from the period, typical designs from the immediate postwar 1940s – say, starting with 1946 – through to about 1953, had this variety of characteristics: innocent, sentimental, sunny, sanitary, patriotic, traditional, Hollywood glamour, and carryover streamline-deco-jazz age from the prewar period. Special thanks to: Bradbury & Bradbury, which made this slide for me. It also showcases one of their 1940s reproduction wallpapers. A number of readers asked if I could share more details about the content of my recent home show talks. I did not videotape them, because they are 30 minutes long or longer — and that does not make for good video. So over the next while, I instead will break the talks down into digestible, illustrated chunks. 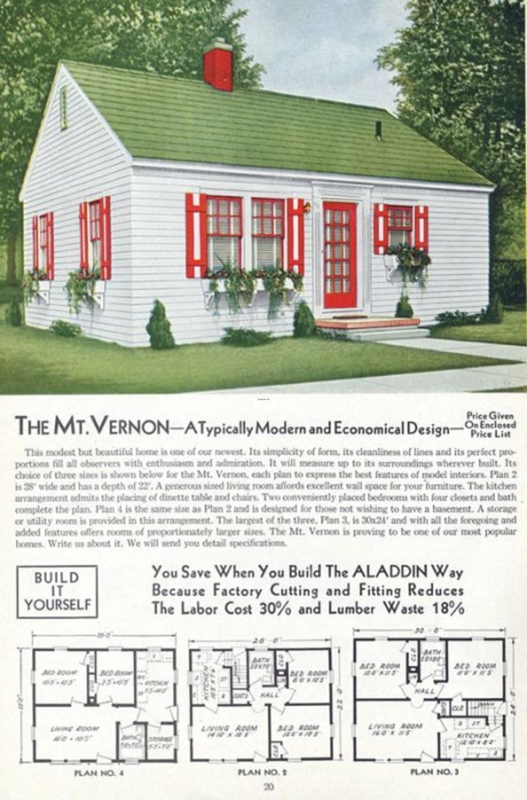 During my talks, I pretty much always strive to put mid-century design into historical context as I display vintage illustrations.